Help secure your devices from prying eyes! 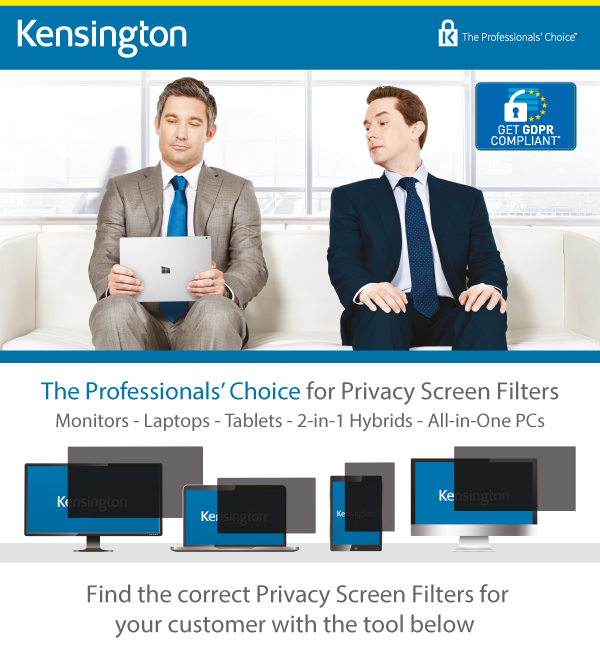 Use the drop down options below to find the right Kensington privacy screen for your laptop, tablet, monitor or all in one PC. Search for your model or click the ‘+’ to select a manufacturer, category and model. Select a model displayed within the search results and then click ‘Price & Leadtime’ to be taken to that product on the JGBM website.